Gravity Defying cakes are all the rage in town. These hand-sculpted edible arts are sure to Wow all your guests and are a must for birthday parties this year. Order the Pearls in the Ocean cake from GurgaonBakers and elevate your party to the next level. 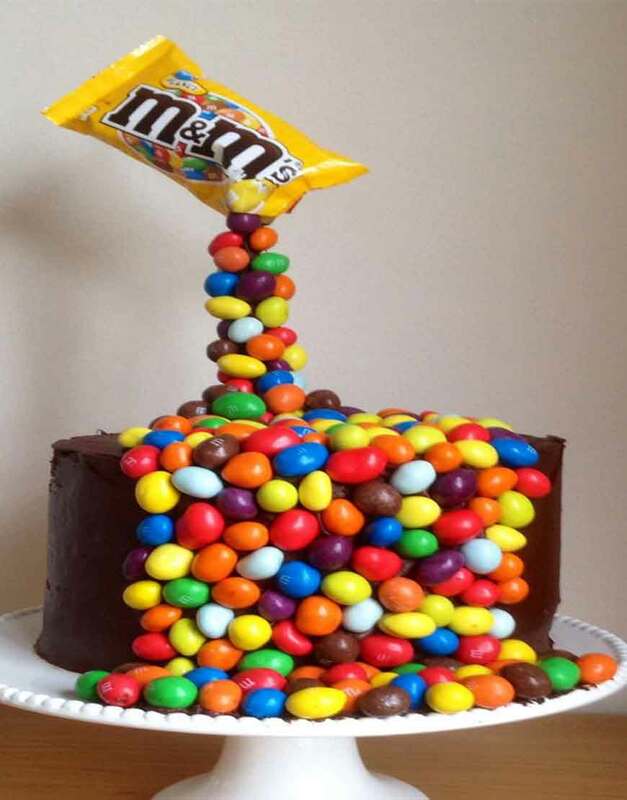 This cake studded with all-time favourite M&Ms is sure to impress kids and adults alike. This is the ultimate sugar rush cake. Covered in rich chocolate ganache and studded with hundreds of colourful M&Ms, this cake looks spectacularly stunning and tastes absolutely delicious. Check out our gallery for our wide collection of unique birthday cakes for some impressive hand-crafted sculptures.